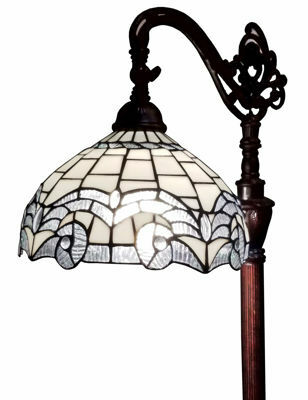 Add a classic style to any room in your home with this lovely Tiffany-style floor lamp. This beautiful light fixture includes 212 glass pieces and 16 beads to add luxury and style to your home. Handcrafted using the same techniques that were developed by Louis Comfort Tiffany in the early 1900s, this beautiful Tiffany-style piece contains hand-cut pieces of stained glass, each wrapped in fine copper foil.